Today we have added Central Retinal Artery Occlusion (CRAO) to our Diseases and Conditions section. CRAO has been approved by the UHMS and cleared by the FDA as a clinical indication for hyperbaric oxygen therapy (HBOT). In fact HBOT is one of the few treatments proven effective for this vascular event, which may cause sudden and permanent blindness, blurring, or partial loss of vision. 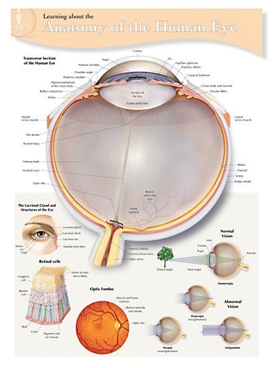 The retina consumes oxygen at a rate faster than any other organ in the body. It is highly sensitive to ischemia, or lack of blood supply. In the treatment of CRAO hyperbaric oxygen therapy has succeeded where others in the last 100 years have failed [UHMS]. But quick access to an emergency-ready chamber is a must. Or as [Medscape] puts it, “Hyperbaric oxygen therapy (HBOT) may be beneficial if begun within 2-12 hours of symptom onset. 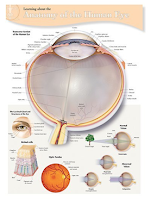 Institute treatment with other interventions first, as transport to a chamber may usurp precious time.” Central retinal artery occlusion offers yet another good reason, then, for the healthcare community to demand 24/7 access to hyperbaric medicine. Our new page includes thoughtfully selected links to resources for patients and for medical professionals. The companion blogpost presents a complete AUDIO version of our new CRAO page.